Harry Grammer has a solution: give them the mentor-based support and care they need to begin their lives anew. Harry Grammer knows firsthand how hard it is to break free from the cycle of detention: He spent five years on juvenile probation when he was a young man. 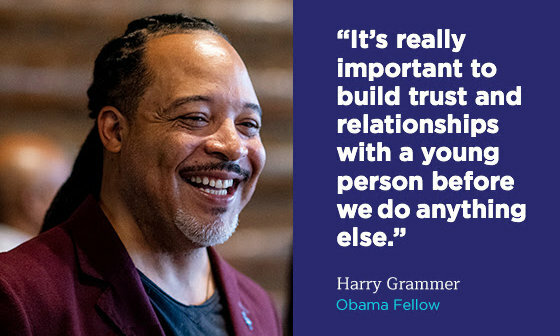 Reflecting on his past—and determined to give young people like him a second chance—Harry founded New Earth, an organization that empowers justice-involved youth in Los Angeles County through art, poetry, education, and vocational programs. By providing support and mentorship, Harry and New Earth are helping thousands of kids move forward and lead healthy, productive lives. P.S. 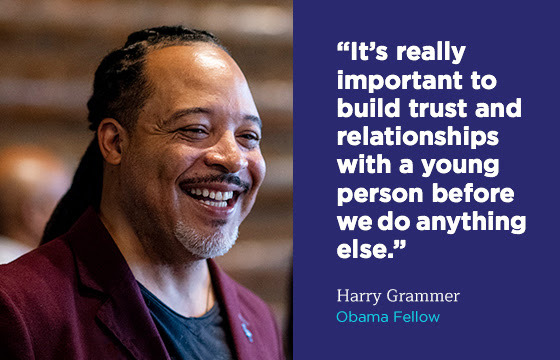 In under a week, Harry will join President Obama and the growing network of MBK Communities at MBK Rising!, a national convening hosted by My Brother’s Keeper Alliance. Want to add your voice?